Australia's smallest governing territory is also its capital, Canberra. But what it lacks in size, it compensates in terms of power, both as a political seat and a premiere world destination. Canberra holds a population of 418,856 people, and must-do’s for people living in Canberra include bushwalking and skiing. Aside from outdoor activities, this small capital features plenty of vibrant neighbourhoods for expats to look into. Expatriates make up 29% of the city’s population, and newcomers will find a number of neighbourhoods and apartments available for occupation. For instance, Tharwa, a small rural community along the banks of the Murrumbidgee River, is proud to house the country's oldest bridge built in 1895 and is along the pathway to the Namadgi National Park. Captains Flat is still anyone's old, laid back country village, although it's being groomed to become the next big attraction in Canberra amongst hills right next to the Jingera Mountains. The capital city's historical charmer, Bungendore, sits on a beautiful valley that is home to Australia's oldest post office and Anglican Church. Murrumbateman, another rural neighbourhood, has come a long way from its wool and beef cattle beginnings and is now a winery capital of the region on top of its fine arts, crafts and antique enticements. The city of Canberra has a marine west coastal climate with four distinct seasons. Sometimes, it can get very hot and dry during summers while winters will have heavy fog and monotonous frosts with rare showers of snow. But the surrounding areas usually get their annual snowfall through winter. The thunderstorms can occur between September and April and may be at any time during the whole day. During summer afternoon or evening, hail and wind can produce thunderstorms as well. Canberra's weather can be extreme, and expats packing for the great move will do well to bring both light and warm clothing. It is also a good idea to start getting used to layering clothes as weather changes can happen in a single day. Camping and outdoor gear will be great as the landscape crawls with good spots in which to wallow in the beauty of nature. A good pair of sneakers should go in for a nice trekking and possibly spotting of kangaroos and some rare avians. Lip balm and lots of sunscreen will be indispensable. While it can get cold at certain times, the sun can be significantly scorching. Indeed, expats who find themselves in the city will not only find it a worthy place to call home. It is also going to be one great experience for fun and adventure. Seniors will love exploring the Australian War Memorial, a museum that tells of soldier stories about olden battles, both in the field and with their families, and images to immortalize them. Lovers of nature have a lot of wowing to do at the Australian National Botanic Gardens which highlight the country's distinct wealth of nature, including eucalyptus lawns and horticulture havens. Or one can get a run for their muscles paddling, rolling or biking around Lake Burley Griffin, more popularly known as LGB to locals. Anybody up for some wet and wild adventures with canoeing or kayaking will have a whole world of lakes to explore. English is the official language of Canberra, as with the rest of Australia. However, there are many cultures represented in the city, including Chinese, Italian, Jewish, and Estonian, among others - proof that expatriates will probably find it easy to blend in their communities. Most of the people in the city are Roman Catholics even as other religions continue to exist such as Islam, Buddhism, Judaism, Hinduism, and Sikhism. The city is strategically positioned between the major state capitals of Sydney and Melbourne but while it may not be as busy and cosmopolitan as these two, Canberra always ends up pleasantly surprising expats who have come and witnessed so much more than they ever expected. Canberra is one of Australia’s major cities located on the south-eastern coast. It is also famous because of the surrounding farmlands, vast outdoor spaces and forests. Despite its well preserved natural beauty, you will find a strong evidence of modernisation in its centre which serves as the home of Australia’s government, major businesses, and educational institutions. Most expats find job opportunities in the public sector which is the top employer in the city. 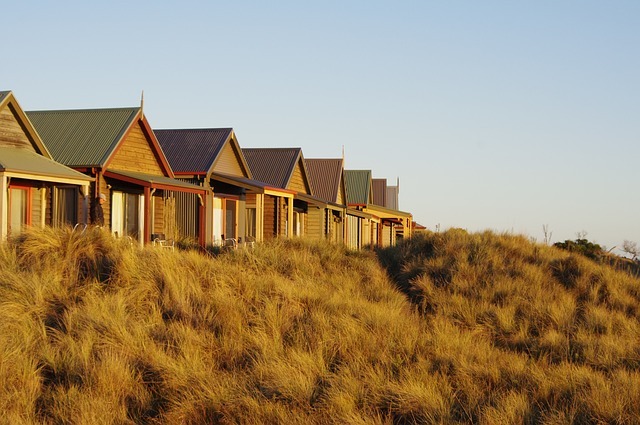 Read the next paragraphs that will serve as your guide in moving to Australia’s world-renowned Bush Capital. One of the most helpful tips when moving abroad is to do your homework. Research about the country especially its housing market or your potential new home. Many online portals post advertisements of real estate properties in Canberra which will give you an idea about their locations and how much the rental costs are. You can also contact local realtors once you arrive in the city. It is imperative that you tell these professionals how much your budget is and what kind of neighbourhood you're looking for so they can give you the best options. Unless your landlord states explicitly, it's better to prepare a separate budget for your essentials like water, gas, electricity and garbage collection. The average monthly cost for utilities in Canberra is €115. Other services like an internet connection are around €45 per month while a local mobile prepaid call is billed €0.10 per minute. The cost in the rental market in Canberra is considered to be lower compared to other cities in Australia but gives you the flexibility to choose between a short term and long term lease agreement. You will find luxurious and high-rise apartments in the centre where most expats are residing where the price of a one bedroom apartment starts at €1200 and €1850 for a three bedroom unit. There are also accommodations in neighbouring districts where the monthly rent for a one bedroom flat starts at €900 and €1550 for a three bedroom unit. Canberra is also known as Australia’s academic capital for housing some of the most prominent schools in the country. You can find international institutions like the Canberra Grammar School, who uses the International Baccalaureate Program (IB) in their curriculum. There are also local schools such as the University of Canberra that provide quality education since 1967. Many shipping and removal companies provide door to door services to Canberra. These professionals will help you in moving your belongings until you receive them in your new home. It generally takes up to 42 days for sea-based transit, which will still vary depending on your country of origin. Containers will arrive in the Port of Sydney, the nearest seaport, where cargos will be delivered to Canberra after customs clearance. For further information about the city’s import regulations, click here. There is a ten-day quarantine period for all domestic animals entering Canberra so you need to inform local officials at least 48hrs before your arrival so they can assign you to a quarantine facility. You also need to prepare necessary documents such as Rabies Vaccination Certificate and International Health Certificate. You will be mesmerised by the city’s great lively vibe that will surely set your mood towards success. But as you unravel the wonders of neighbouring districts you will also see Canberra’s hidden gems such as natural parks and nature reserves; perfect places for you and your family to unwind. Almost a quarter of Canberra’s population are born overseas. 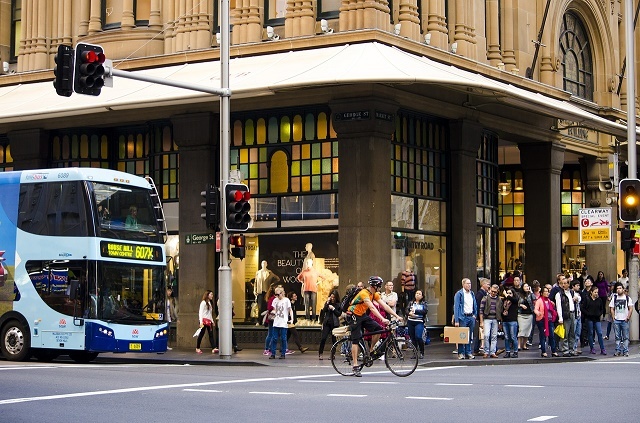 Expats rush to live in the capital city of Australia for its high living standards. In fact, the average income in the city is one of the highest among 300 developed nations. Canberra is an undeniably fascinating city for expats that are looking for a beyond average standard of living and particularly for Nature lovers. 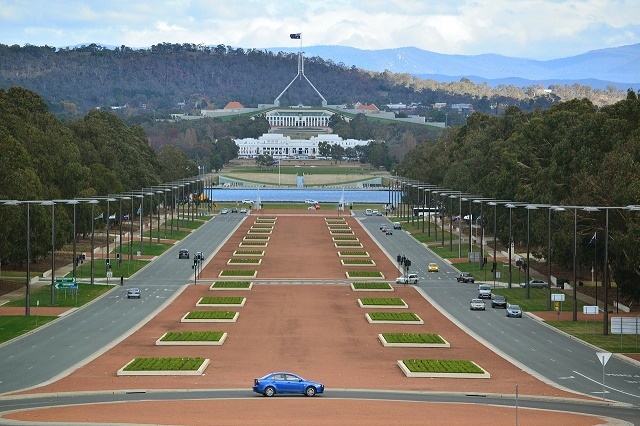 Canberra is also home to Australia’s cultural landmarks such as the Parliament House, the Aboriginal Tent embassy, and the Australian War Memorial. This city boasts the highest quality of living worldwide and locals as well as expats benefit from a high level of safety, reliable health care system and clean environment. Raising kids in Canberra could be a different experience for expat parents compared to the other cities of Australia as most attractions focuses on Science and Technology. Expat families may start their tours at the Canberra Deep Space Communications Complex, a place to watch some space movies and take a peak on astronaut’s wardrobe. For a feel of virtual reality, kids of all ages can also visit the CSIRO Discovery Centre which is an interactive and educational Science museum. Canberra is a city oozing with events that will keep its people from getting bored. Here, expats will witness one of the city’s most traditional events such as the Floriade, an annual flower (tulips) festival held every spring or between the months of September and October. There is also the Canberra Show which is held every February and features agricultural competitions, shows and amusement parks. Canberra is also a highly diverse city, and because of that, expats will be exhilarated to know that they can look forward to the Multicultural Festival, an event for the city’s large international community. One of the must-sees in this festival is the International Food Fare whereas over 200 stalls sell foods from various countries and cuisines. Getting around Canberra is easy. Aside from self-driving, expats also have the option to hire a vehicle, cycle or use the public transport around the city. Expats would love to stroll around the capital walking or bicycling for its clean, fresh air. Canberra is also known as the cycling capital of Australia and it only takes less than forty minutes to traverse from one are to another in the city without the frustration of getting stuck in traffic congestion. Exploring some of the national attractions in the city is also possible via sailing or paddling recreational activities. The four major banks in Australia all have their branches in Canberra. These are ANZ, National Austraia Bank (NAB), Westpac and Commonwealth. Various banking products such as Transaction Accounts, Savings Accounts, Credit Cards and Personal Loans are offered in the city plus the convenience of electronic banking. For bill payments, Canberra pays using the BPAY and advises expats to carefully check on their BSB (Bank State Branch) when transferring money around the city or internationally. Canberrans love to welcome new people in the city and would appreciate them participating in communities. Almost 75 percent of the adult citizens are members of more than one service clubs focusing on various interests such as in sports, culture, profession and more. For those struggling with culture shock, the Canberra Community Support, ACT Communities Online, Migrant and Refugee Settlement Services - ACT and all other community services are here to help.